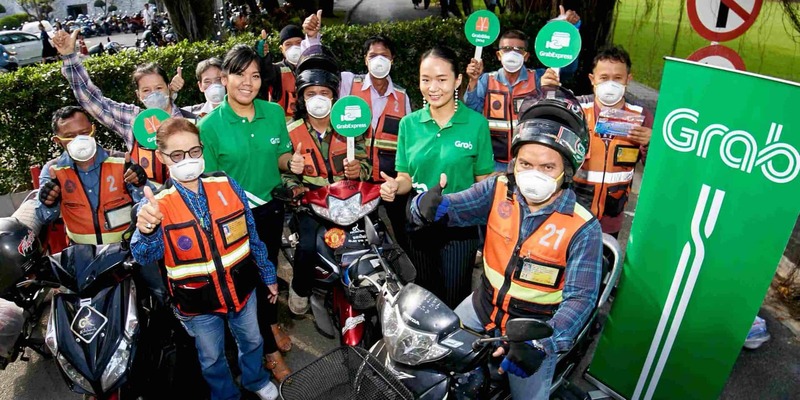 Bangkok, 24 January 2019 – Grab Thailand distributed 3,000 N95 respirator masks to motorcycle taxi drivers to reduce the health threats from the air pollution for the second consecutive year at the roadshow held by the National Council for Peace and Order (NCPO) to regulate and encourage safety for motorcycle taxi and taxi drivers. This is one of Grab’s many schemes aimed at improving the livelihoods and well-being of motorcycle taxi drivers and Grab’s driver-partners. With its support at the roadshow to regulate motorcycle taxi drivers, Grab is manifesting a shared goal with the NCPO and the Department of Land Transport to create financial opportunities for motorcycle drivers through the use of ride-hailing applications. This forms part of Grab’s driver-partner benefit programs as it continues to increase driver-partners’ welfare through a number of initiatives including “Grab the Future”, a scholarship program to support the children of Grab’s driver-partners, social security contributions, healthcare, car insurance, accident insurance as well as other benefits in collaboration with Grab’s partners in order to enhance the livelihoods of the drivers-partners.